We can help you find the newest Listings for Sale in the Last 24-Hours in Tempe Arizona. Use our 15 seconds Home Value Estimator to calculate Tempe home values. If you’re looking for homes for rent in Tempe AZ or looking for property management for your Tempe home, check out our exclusive rental page. We make it easy to find your dream home by filtering by home types, price, and size. The listings below include Tempe condos, Tempe bank owned homes,Tempe short sales, Tempe townhomes, Land for sale in Tempe and Luxury homes for sale in Tempe. We also made it easy to find with our 1-Click Searches like Tempe Homes for Sale with a Pool or Horse Property for Sale in Tempe Arizona. If you are considering buying or selling a home in Tempe call/text us at (480) 422-5358 or send us a message using the message box at the bottom of the page. 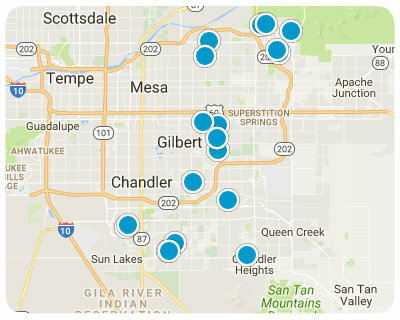 Below are ALL of the Homes for Sale and Recently Sold in Tempe Arizona from our Realtor MLS UPDATED EVERY 5 Minutes! That means EVERY home from EVERY Real Estate Company that is currently for Sale. The listings below include ALL homes for Sale in Tempe, Tempe Condos, Tempe Foreclosures, Tempe Short Sales, Tempe Townhomes and Luxury homes in Tempe. You can filter your search at the top of this page by price, size, etc. Check out the popular 1-Click searches like Tempe Homes for Sale with a Pool or Horse Property for Sale in Tempe Arizona.